Today is GivingTuesday! Please consider donating to Friends of the Wild Whoopers, (FOTWW) so that we can continue our “Stopover Habitat” project. 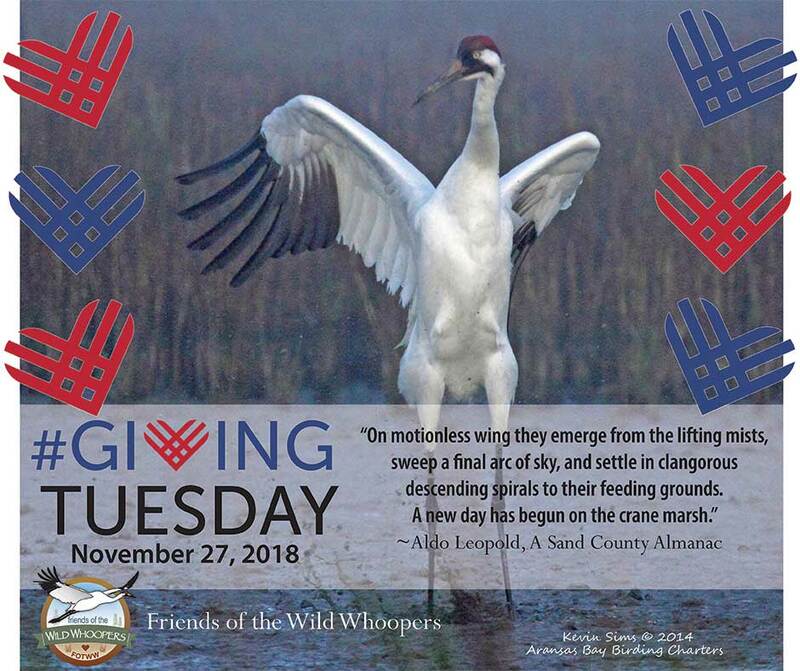 FOTWW has completed “stopover habitat” evaluations on 32 military facilities, 8 Indian Reservations and 12 U.S. Army Corps of Engineers lakes within the wild Whooping Crane six state migration corridor. All of the evaluations were done at our expense, and were made possible by donations from our supporters who believe in our mission. Our “stopover habitat” is in its infancy with many lakes and potential habitats remaining to be evaluated. Every donation that we receive is greatly appreciated and will go toward our ongoing “stopover habitat” efforts.